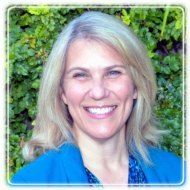 Encinitas Therapist: Rebecca Friese - Therapist 92024. Are you feeling discouraged and stuck? Do you feel disconnected in your marriage? Do you want to make changes, but don't know where to start? My name is Rebecca Friese. I am a Marriage and Family Therapist, and I am committed to helping people who want changes in their lives and in their relationships. I help people to stop negative patterns and experience healing and connection. Marriage Counseling -- I help couples to stop negative patterns that pull them apart, repair hurts, and become a strong, connected team. Help for Helpers -- I have great compassion and respect for people in the helping professions, such as therapists, pastors and teachers. People who are constantly focused on the needs of others sometimes need help learning healthy self-care. I help helpers to set effective boundaries so that they can thrive. Christian Counseling -- While I enjoy working with people of all faiths or no formal faith, I am a Christian therapist with a background in Bible and theology. I enjoy helping Christians who want their faith to be part of their healing process. I am an attachment therapist. I believe that from the day we are born until the day we die, we are wired to connect with other people. In order to function at our best, we need to know that we are loved, respected and accepted, and that our contributions are valuable. When our attachment needs are not met, we develop coping strategies that help us get through life. In time, however, those strategies might become counterproductive. We might struggle with trusting people, be overly clingy or overly suspicious, or turn to addictions to numb our pain. As a therapist, I seek to help people explore their unhelpful patterns in an atmosphere of compassion and respect. As we uncover deep fears and longings, growth and healing take place. People are able to change their ways of relating to others, cope positively with negative situations, and experience more joy and resilience in their lives. These changes don't happen overnight, but they bring true, lasting transformation of ourselves and our relationships. My background includes earning my M.A. in Marital and Family Therapy from Bethel Seminary in San Diego. I have advanced training in Emotionally Focused Therapy, a well-researched, very effective form of couples therapy. In addition, I have many years of experience working with youth and families in both clinical settings and in churches. I am a member of the American Association for Marriage and Family Therapy (AAMFT), the California Association of Marriage and Family Therapists (CAMFT), the American Association of Christian Counselors (AACC), and the International Centre for Excellence in Emotionally Focused Therapy (ICEEFT). I teach and speak at seminars, classes and events on a wide range of topics dealing with parenting, relationships, mental and emotional health, spiritual growth and ministry. In my own life, I am constantly learning, always seeking wisdom and attempting to pass it on. I have been married for over 30 years, and have four grown children, so I have extensive "real life" experience when it comes to families and relationships. I am part of the team at Restore and Rebuild Counseling Center. Our office is located at Redeemer Presbyterian Church in Encinitas, CA.